For the last year, just about every headline across the country about trucker pay has been about drivers getting raises. The shortage of qualified, professional haulers nationwide has given drivers incredible power to make demands of freight companies to improve pay and benefits, and that is a trend that seems unlikely to reverse course any time soon. With concerns about increased turnover in an improved economy as well as growing demand for shipping in general, Walmart - the world's biggest retailer - recently announced it would raise pay for its pro truckers by $1,500 a year, across the board, according to CNN. The hope is that this will not only allow the company to retain much of its current roster of 8,000 truckers, but also attract as many as 900 new ones. Previous efforts in this vein seem to have paid off for the retailer, as it hired more than 1,400 new drivers last year alone, following a number of pay increases, the report said. The new uptick is expected to go into place in February, in the form of one additional cent per mile. On average, the company's drivers will earn some $87,500 annually. Of course, it's not just retailers with their own private fleets, but also freight companies that now recognize the importance of raising compensation for drivers. The refrigerated truck giant C.R. England recently joined the ranks of such businesses once again, increasing earnings for the second time in less than a year for all of its 6,500 drivers. Altogether, the company has invested tens of millions in these increases since last May. "Including today's pay increase, C.R. England has invested an annualized amount of over 30 million dollars in driver pay increases in the last eight months," said company chief executive officer Chad England. 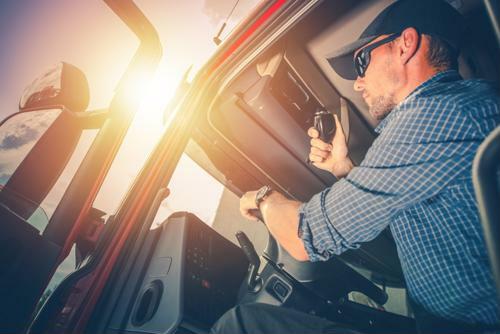 "This increase comes just eight months after Over the Road drivers received the largest driver compensation increase in the 99-year history of the company. Raising pay is an indicator C.R. England is committed to providing our employees with a long-term career path they can count on financially." Included in this group of drivers getting a pay raise is not only solo and team drivers, but also trainers, the report said. This comes above and beyond the company's efforts to provide additional perks to drivers, such as the fact that 2,000 of them are able to go home nearly every day. In addition to all this, a federal judge seems to be moving toward giving drivers a potentially seismic shift to their pay structures, according to Business Insider. Instead of being paid per mile, the Arkansas judge has repeatedly ruled in favor of ensuring drivers are paid for every hour they're in their truck but not asleep. It's likely that this case is far from decided, and could move up the legal ladder, but this is certainly something for both employers and drivers to monitor on an ongoing basis. When freight companies are able to continually raise salaries for drivers and also provide other perks, they may be well-positioned to attract and retain talent in what has become an increasingly competitive field with plenty of turnover.